The Local Grocer is committed to organic food, local economy and local agriculture. We even have our own permaculture farm, Mountain Flower Farm, right down the road in Intervale. 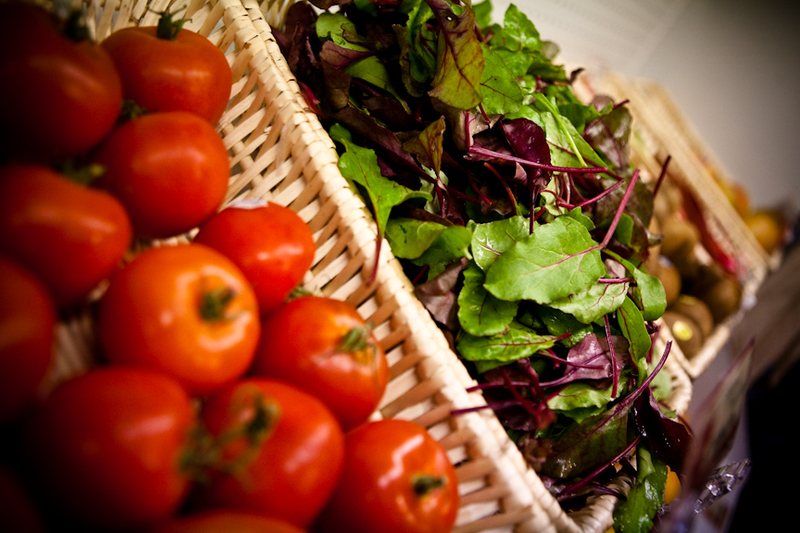 In season, we provide produce for the market and cafe. Though we are not certified organic, you can be assured they we far surpass national organic certification standards. We do not use any sprays, or chemical fertilizers and make a lot of our own preps. We use seaweed fertilizer (from Maine), our own compost, homemade preps, and natural soil amendments to ensure soil fertility. We have a composting facility at the farm where we compost all of our cafe’s food waste, along with food waste that we pick up from Flatbread Co. in North Conway. The compost is then used on the gardens and the cycle continues! We have short season here in the mountains, but you can be assured that when in-season, we are either growing our own produce, or purchasing it from local farmers whenever it is available. We only purchase from farmers committed to organic practices. Any farm that is not certified organic is known to us personally and we can attest to their (way beyond) organic practices. We also use organically fed local eggs from Viking Hill Farm (Freedom, NH) in our cafe, and sell them in our market. Out of season, The Local Grocer is committed to purchasing ONLY ORGANIC PRODUCE for use in our cafe and to sell in our market.